Running shoes might not be the best choice of footwear for hiking to the top of a Colorado ski resort, but when a shoe company claims good traction on slick surfaces, I couldn’t think of a better test venue. 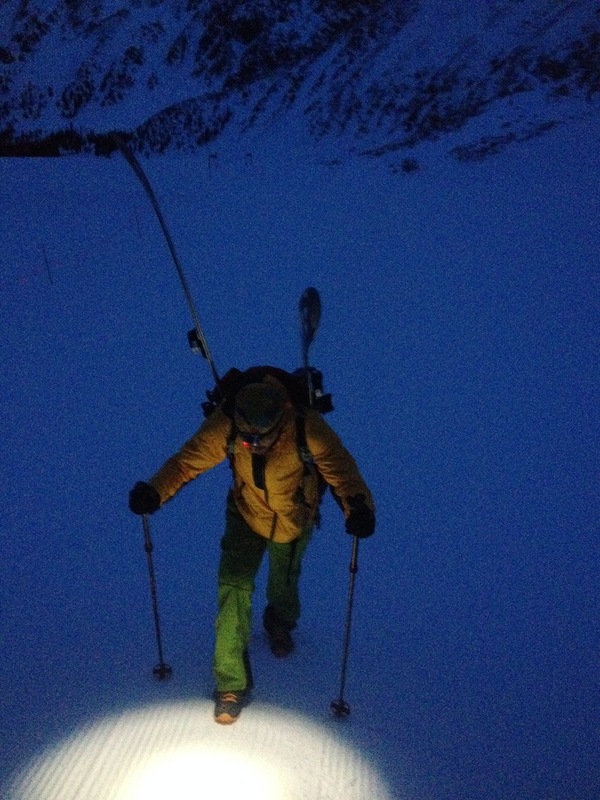 Before dawn last week I put on a heavy pack carrying alpine skis, boots and a little water then started up from the parking lot of Arapaho Basin Ski Area. On my feet were a pair of to-be-released 2015 running shoes intended for use on the muddy trails of obstacle courses and other sketchy surfaces made by the Swedish company Icebug. 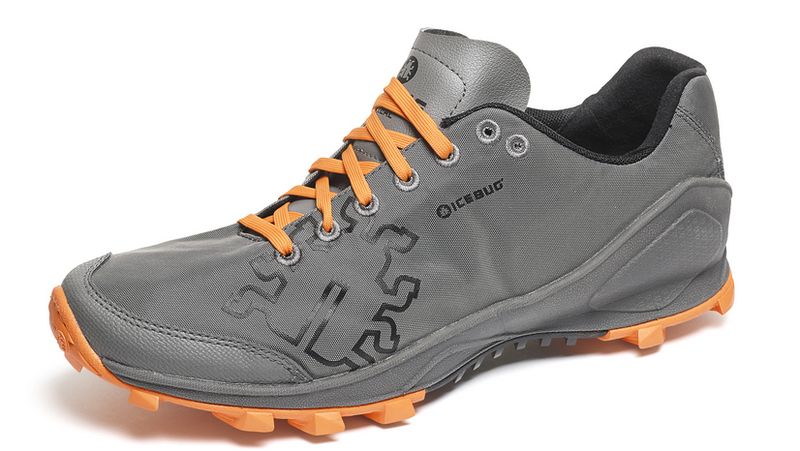 Some of the Icebug shoes have metal studs to grip ice. But the Zeal model I wore on the uphill slog have deep, hard rubber lugs to grip into the snow-pack or other dicy terrain. Long story short? They worked great. Hiking the steep groomed face was no problem and the shoes clawed into the slippery surface with little trouble. As running shoes, they’re clearly not intended for this activity, but they still did the job just fine. They should crush on your slippery city jog or muddy race. Where To Test Them: Icy trails, snowy streets, mud, or off-trail runs. 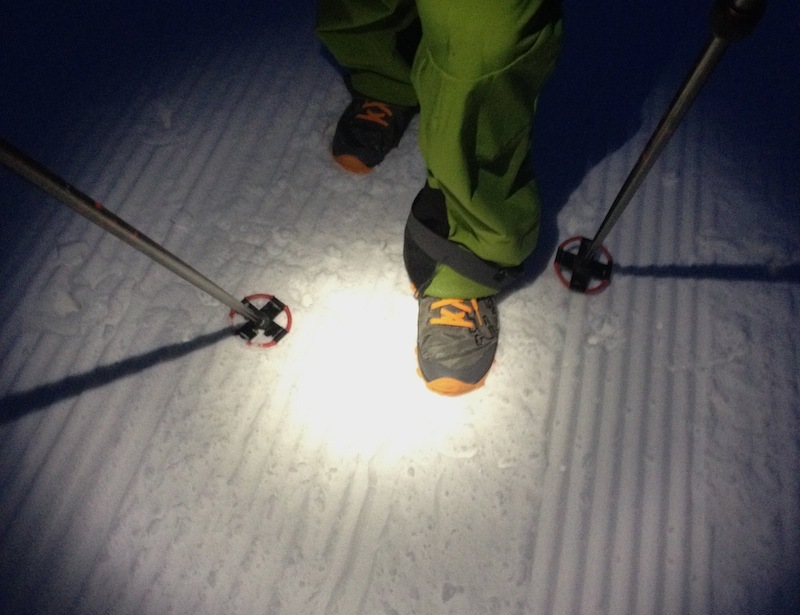 The Icebugs provided superb traction on an extremely slick and steep hard-pack ski resort run. They are also “non-absorbing,” which is a plus if you’re racing in wet conditions. 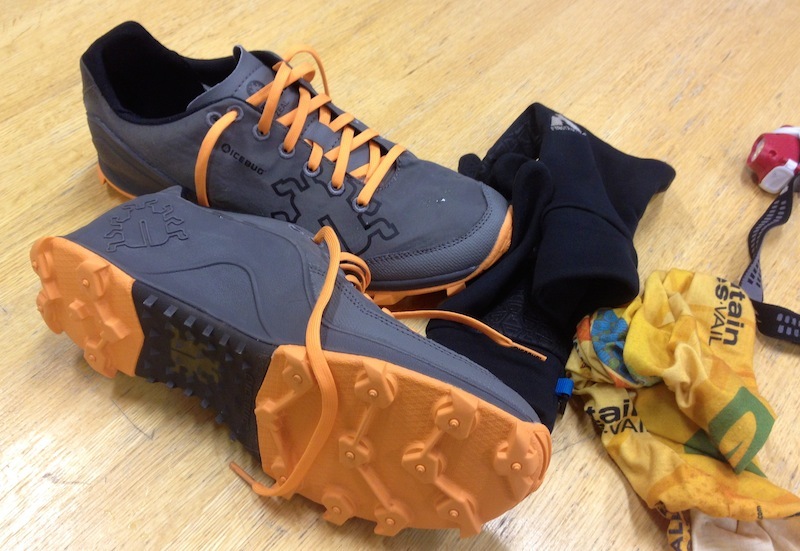 Who’s It For: Runners who want aggressive tread for winter snow and ice or soft spring mud. Important Specs: Weight: 280 grams (size 9). Upper is made of nylon; midsole is EVA foam. Come in sizes 7-13 (men) and 5.5-10.5 (women). Awesome! For a light, fast shoe, the traction on the Zeal is exceptional. It has a “non-absorbing” upper fabric and in my testing did not get saturated even running in snow, muck and puddles. They are not waterproof, but the shoes do not carry extra water on board if damp. Flaw: The upper materials are a little stiff. I didn’t have any problems but would be worried about blisters on longer runs. First Impressions: Can you say grip? The tread on these things turn your feet into 4×4 monster trucks. Who Should Buy It: People who run on soft surfaces or snow and ice, or those who want to try a deep tread on their trail runs. next:Cyclist Run Over By Semi, Survives!